Sure, there are beautiful beaches all around the world. But how many contain hidden coves and enchanted mountains, combined with Spanish food, culture, and history? 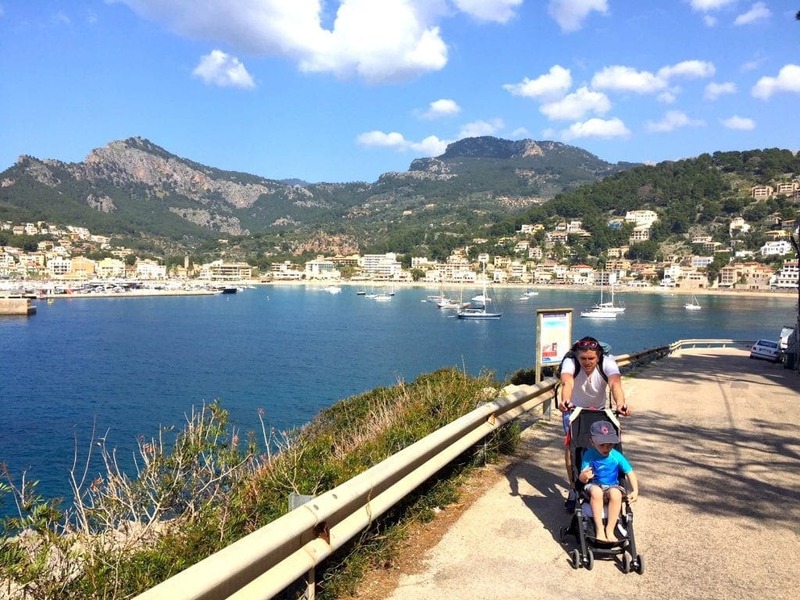 When our family traveled to the Balearic Island of Mallorca (also spelled Majorca) for a quick getaway from Barcelona, where we’re living abroad, we didn’t know what to expect. But the many YouTube videos of drone footage gave us a powerful impression of the island’s beauty. There’s so much to explore in Mallorca. 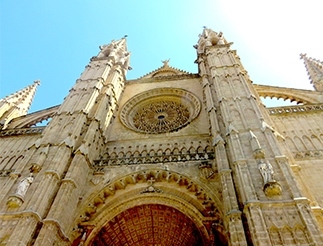 Palma, the capital city on the island, is full of impressive history. The island has long been a strategic stronghold, so it boasts tons of fortresses. One of the standout sights, though, is the massive cathedral that overlooks the ocean. It took over 400 years to complete, and even imported Antoni Gaudí (of Sagrada Familia fame) to help with a renovation in the 1900s. 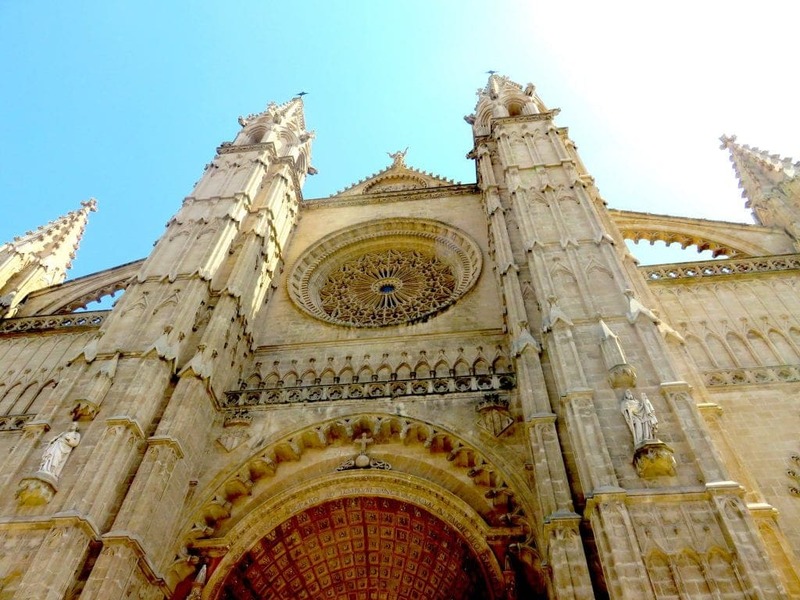 Check the hours before you go to Palma’s cathedral. It’s not always open to visitors. We spent a day wandering around the city with friends who are living there for the year, and discovered lots of sweet cafes, playgrounds, and of course, gelato. Emmett plays with our friend Chase on an upside-down see-saw. 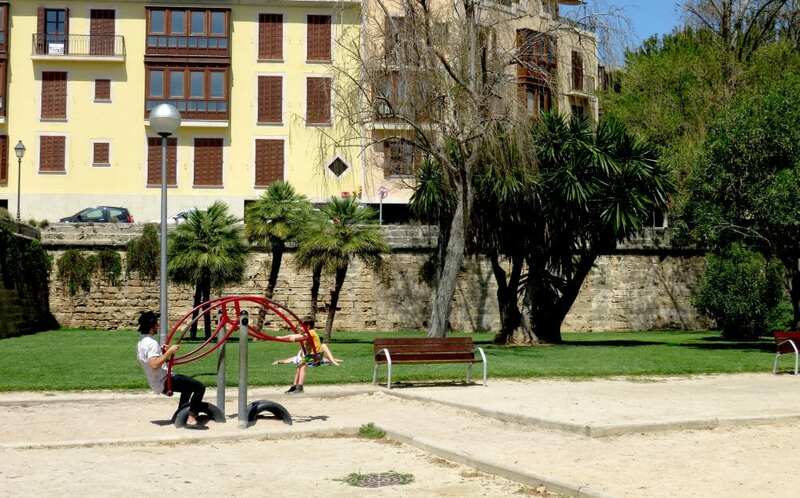 But the suggestion we heard most often is to get out of Palma and into small towns and beaches. The train and bus station is right in the middle of the city and offers an easy solution to getting around. But renting a car and road tripping is not a bad idea either. In my research, I found a lot of incredibly charming agricultural eco-tourism stays that look like dreams you can only access by car. 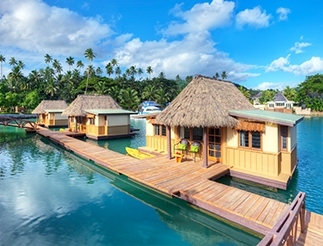 There’s also a lot of family-friendly hotels around the island with kid clubs and the like. 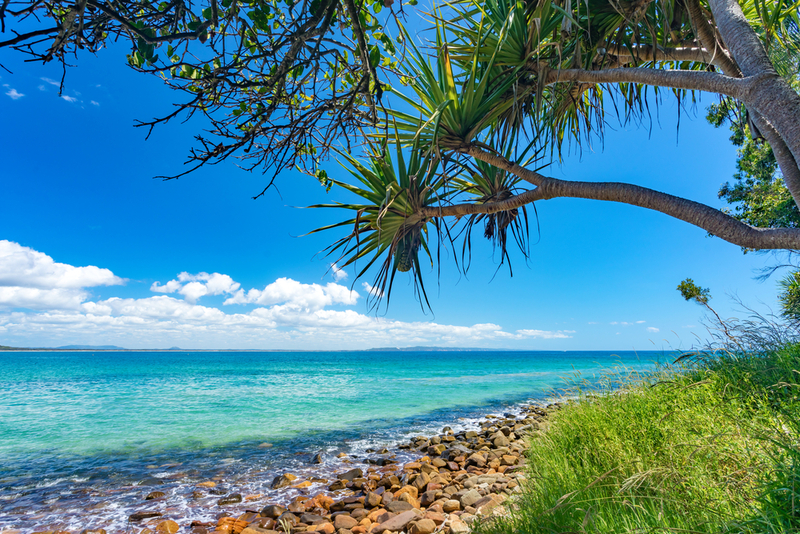 You’ll find mostly European tourists, and you might be surprised that the island has a huge German influence, with many signs and menus in Deutsch. Emmett and I test the waters of Puerto de Sóller’s calm harbor. Our favorite place in Mallorca was Sóller. Located on the eastern coast, it’s really a two-for-one. You get Sóller, a charming mountain town. 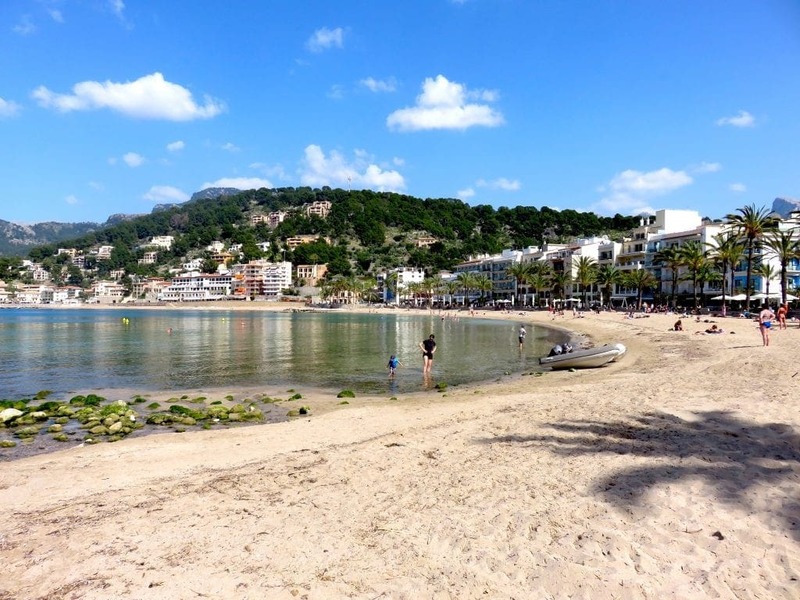 It’s connected to Port de Sóller by a wooden tram that lands you on the beach of a spectacular harbor. 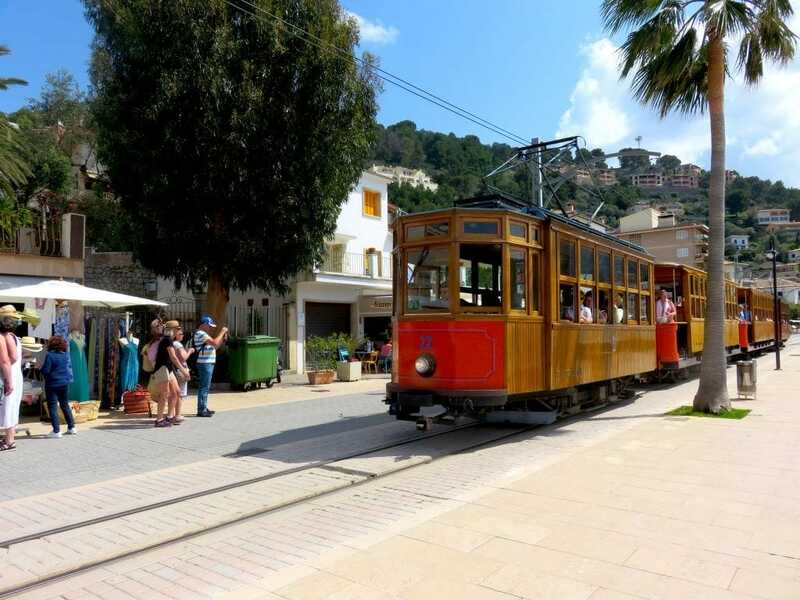 The tram is a convenient and fun ride between Sóller and Port de Sóller. Marshall struggles up the steep road while Emmett enjoys the views. Next time, we’d go more prepared to hike. 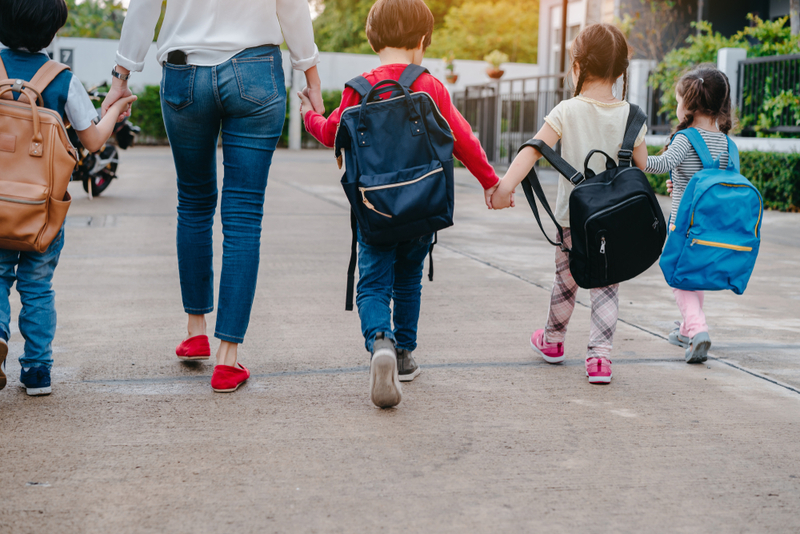 There’s so much to explore on foot, and so much more to do. We hear the other Balearic Islands, Menorca and Ibiza, are nothing to sneeze at, either. 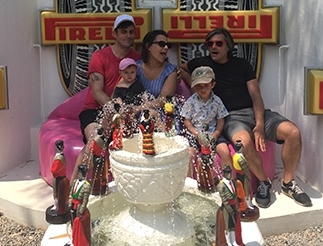 Lindsay Patterson and Marshall Escamilla moved to Barcelona in the summer of 2017 with their 4 year old son, Emmett. 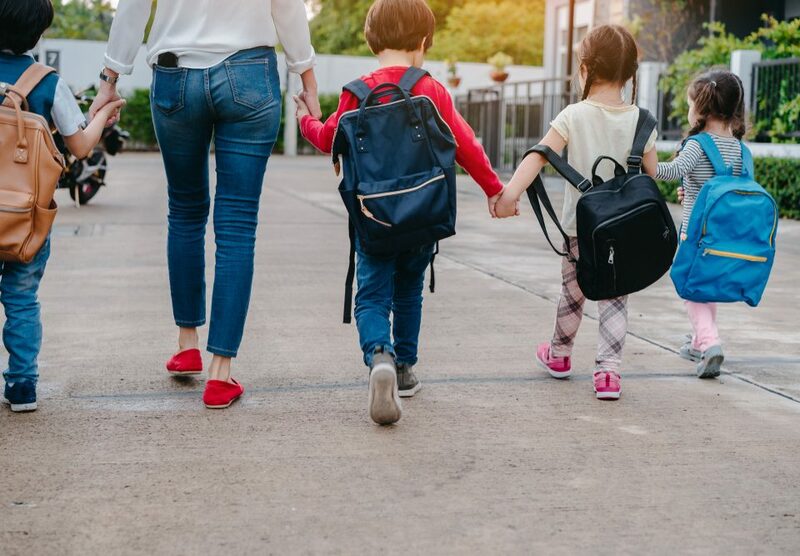 From their home base in the charming neighborhood of Gracia, they create Tumble, a popular science podcast for kids, explore the world and write about it in Tumble Travels. Lindsay is a journalist, Marshall is a musician and educator, and Emmett is a vehicle enthusiast. Follow along with their adventures in traveling, science, and life abroad at @tumblepodcast on Instagram.